Looking for a kidfriendly spot around you ? Directly receive in your mailbox our monthly summary of travel & cultural tips for families on the go ! 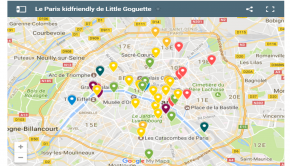 Little Goguette, the site of outings and trips to savor in family, in Paris and all around the globe! Receive directly in your mailbox our ideas, tips and best addresses for intrepid family!